Ouch! My hip hurts, my back hurts, my hip and back - OUCH! What is wrong? What have I done to myself now? Have you ever said this to yourself? I know I have on a daily basis and I am sick of it! It all started with pain in my neck and shoulder area and I attributed it, like most people, to to stress. I carry everything in my shoulders. Fast forward a few months, now, my hips and lower back ache. What can I blame that on? I know exactly where to point the finger... at myself. I mean, I am physically active, but my activities are not done with proper preparation. Where am I going with this you ask? Let’s talk about hip your flexors! You're probably asking, what the heck do your hip flexors have to do with anything? A lot actually! After a recent workout on the treadmill, I felt this extreme pain come from my hip area. The pain shot all the way down my leg. I went to my Trainer and told her what had happened. She told me that I likely strained my hip flexor. I started doing research about this muscle group. I wanted to find out exactly what hip flexors do, how I can reduce my risk injuring myself further and most importantly, how to make the pain stop! 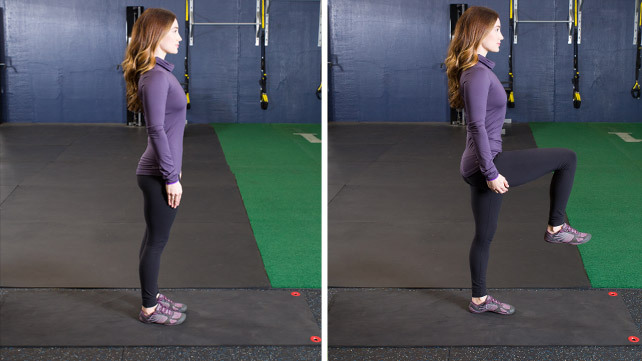 Hip flexors connect the top of the femur to the lower back, hips and groin. They are a group of muscles around the upper/inner thighs and pelvic area that help us perform movements such as walking, running, jumping, climbing, etc. How Can you Hurt Your Hip Flexors? How Can you Stretch Your Hip Flexors? How can we stretch these muscles and make them stronger? Great question! Here are a few exercises I found online that you can do at your desk, gym, or bedroom, etc. Reverse Lunge with Knee Drive – this provides a great stretch for the hip flexors and helps to strengthen them! Seated Butterfly Stretch - heels should be pulled gently inwards, and the knees dropped further towards the floor. Hold the stretch for 10 to 30 seconds. Pigeon Pose - Hold the position and then swap sides. Wall Psaos Hold - To do this stretch a person should start in a standing position then bend their right knee lifting the upper part of the leg towards the ceiling and balancing on the other foot. They then try to hold for 30 seconds before switching sides. These are just a few exercises that you can do to help stretch and strengthen your hip flexor muscles. A quick internet search will bring you many more! First things first, get up, get moving. Sitting all day is not healthy!